We have transfer tape in both CLEAR and PAPER. 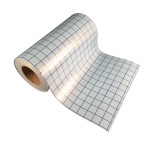 The CLEAR tape comes with a BLUE GRID pattern. The PAPER tape comes with a RED GRID pattern. 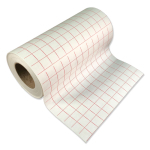 The 1-inch grid pattern makes it easy to align your designs.